In order to process your request, we require a few details about your current status. Please fill in the following form as best as possible. SIMPLE, AFFORDABLE FINANCE PLANS - THE CHOICE IS YOURS! We'd love to hear from you, why not stop by or get in touch with one of our dedicated team members. At Philip Paul, we want you to be as happy with your finance deal as you are with your car. It’s all part of the package. We’re not interested in tricky or deceitful contracts that promise a bargain but then hit you with a hidden, high interest rate that leaves you thousands of pounds worse off. We believe that a good car and an honest deal sells itself. And because everyone is different, we also believe in getting to know your needs and means before we present you with a choice of finance options, ensuring that the deal fits in with your lifestyle, and not the other way round. We take the time to understand your finances before we ask you to undertake any further commitment. We’re proud to offer the most flexible and customer-centred approach to finance in the North West. Other car supermarkets might brag about their financing yet demand crippling deposits or 20% APR interest rates. Not Philip Paul! We care only about moulding a deal until it’s right for you. In some circumstances, this has been known to extend to 100% finance. Hire Purchase (HP) is a quick and easy way to finance your car by spreading its cost over a number of months. Simply tell us how much you can afford to pay each month (after taking into account your car’s running costs, road tax, insurance, etc.) and the amount of your deposit, and we’ll let you know how many monthly payments you need to make to complete full ownership of your chosen car. The HP term usually lasts between 24 and 60 months, after which the car will be yours to keep, trade in or sell on. As a general rule, the lower the monthly HP payment, the longer the contract length. Don’t worry if you don’t have a cash deposit, you can trade in your current car to decrease the amount of borrowing and therefore reduce your monthly payments. 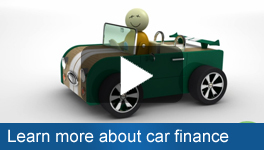 HP finance is only available to over-18s and is best suited to those making a long-term investment in their car. Personal Contract Purchase (PCP) is similar to HP in that it involves monthly payments over a fixed length of time (anywhere from 24 months to 60 months), however, in this case you are effectively leasing, rather than buying the car. As a result, the monthly payments are generally lower than that of a HP. PCP instalments effectively pay off the depreciation in the value of your vehicle over the length of your agreement. When the contract finishes, you’ll have the option to make a final balloon payment (the market value of the car at that time) to obtain complete ownership, or hand the car back and undertake a new PCP with another vehicle. During the contract, your mileage will be limited to a pre-agreed amount which will also have a bearing on the monthly payments in order to take into account the wear and tear on the vehicle. A PCP agreement is also only available to over-18s and is perfect for those intending to change their car every few years. We know that simple and affordable finance is an important part of our customers ability to enjoy their car so we have carefully chosen two finance companies to complement our service. MotoNovo (formerly Carlyle) and Close who between them have many years of motor trade funding experience and share our customer-driven ethos while maintaining our very high standards. To find out more about our finance deals, use our online enquiry form, call us or pop into our showroom. We’ll talk you through the options and give you all the information that you need to make an informed, no-pressure choice. Together, we can ensure that you’ll be able to afford many happy years of motoring. Please note you will not own the vehicle outright until all payments are made. If you default on your finance payments, then the vehicle may be repossessed by the finance provider. You must be 18 years or older to apply for finance. Finance is not guaranteed, and any finance application is subject to a credit check and individual circumstances. The finance provider will have their own Terms and Conditions, please contact them directly for further information.